Just a month before the release of God of War, here are two videos that promote the game. First a pretty CGI TV spot and second the 'War on the Floor' projection mapping ad that happened February 10 on the Golden State Warriors' Oracle Arena, turning the whole court into a snowy Nordic battlefield with Kratos and Atreus fighting off foes. watching all the preview footage of this and i'm loving the look of it. combat looks super fast with plenty of options and variety for a game with such a close-in camera angle. 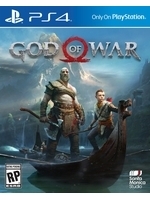 i was worried we were going to get a hellblade-like combat experience (which was too rigid and too basic) but there seems to be a lot more going on here, from the shield barging, staggering, blocking, parrying, free aim axe throwing, powered up specials, slow mo air juggles, freezing enemies and just straight up pugilism it all looks fluid and dynamic. just the act of throwing and calling your axe looks like it plays heavily into the combat system since it can damage enemies in both directions. it would be cool if we can imbue the axe with different elemental runes too which seems obvious, but maybe they'll do similar things with different weapons? I'll admit i did have some doubts about this game during its first footage. But now i'm stoked really, just might pre order this. Guess i'll play it if the combat is as varied as the previews make it sounds. Somehow will forgive them for the whole NaughtyDog's style cinematic feel of the game ahah. You guys are really digging this one? Doesn't it feel like the enemies are just standing there to go at you one by one? It's the beginning of the game and the preview footage is provided by sony which is showing a super experienced player probably playing on normal difficulty. Most of the previews have been saying they started needing to do quick turns and figure out how and when to throw the axe and when to call it back so they could do effective crowd control, otherwise they would start to get overwhelemed and killed by the multiple low level enemies so I don't think the one by one thing is an issue as the game progresses further. The person playing for the b-roll may just be a little too experienced and not letting themself get in a situation where multiple enemies are getting the drop on kratos. Even still, there are a couple of instances in the b-roll where you see multiple enemies attempt to attack kratos at the same time that are not so obvious because the player just handles it so well with the axe + atreus. Oh ok, hopefully that is the case. One issue though with multiple enemies coming at you would actually be the camera position. I don't think the over the shoulder camera lends itself to that sort of combat very well, which is why I personally assumed the one-by-one attack pattern was actually on purpose. I remember the Ninja Gaiden black camera would sometimes get into the over shoulder mode near a cramped space. That made the situation unfairly impossible to play because of the enemies coming at you from all directions. But if this game is going with that sort of a fixed camera mode throughout, that would make every encounter unfair. Would be interesting to see how they handle this one. Yeah, I think that's the main reason why they have a quick turn button, a separate indicator near Kratos to tell you an off-screen enemy is about to attack, and Atreus occasionally telling you of a threat you may not be seeing on screen as well. it doesn't seem much different to god of war games of old to me (or action games in general really). you understandably can't have 20 enemies just run in and pile on you. you'd be dead in a second. lol. but it seems 3 or 4 can be actively and directly fighting kratos requiring him to dodge and turn to attack foes from multiple angles. atreus seems to stagger and distract other enemies too which at least puts a little context to the enemies "waiting" to fight. the camera makes tracking the enemies that aren't immediately in front of you more difficult than it used to be, but i don't mind that tbh, the warning systems they have in place for enemies coming from behind seem decent. It's not 20 at once, but sometimes goes upto about 10. Those were the days :)! Actually, they don't just run around though. They shuriken spam you from all directions. Even the guys who have their limbs chopped off are pretty much slowly making their way towards you to do a suicide attack. The person playing is just very good at using a lot of i-frames! Enemies in these sorts of games either come in low numbers and pose a threat or they’re fodder. I’ve never seen a game that isn’t like that. I think the loss of cinematic moneyshot is the big loss of the reboot, not the whole kratosXNordicXNPCAlly. I think people forget the likes of Dynasty Warriors. Quantity vs quality of the fight. lol, getting shuriken spammed in NG2 is actually deadlier than getting hit by a sword strike. Anyway, we are talking about all of this on a game like GoW which at this point looks like you don't even get three enemies coming at you at once, let alone 20 though. I just want to see a combat system that has depth, speed, and is a challenge like NG. so 6 enemies at a time in the first 2 hours of the preview...seems in line with what NG throws at you in the first couple hours, yeah? but i'm with AndreasZ94, i'm expecting the numbers to increase as you progress and potentially with increased difficulty. as most games of this type do. i also expect abilities to increase with progression too, which should add to an already varied combat system. 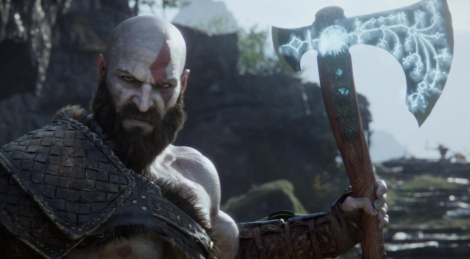 as droez mentioned, i'm actually surprised kratos has the abilities he has so early on. seems you start as a powerhouse and only get stronger. I just want to see a combat system that has depth, speed, and is a challenge like NG. Oh, there's a new Bayonetta game coming to the Switch, have at it. That was really cool doing the preview on the basketball court. Sony's marketing team is light years ahead of the competition when it comes to videogames.